​With HBO's final season of the fantasy-deconstruction epic '​Game of Thrones' on the horizon of 2019, fans of the series are grappling with one huge question: Who will walk away from the show alive? The series has made a name for itself by killing off major characters in spectacular fashion, so it stands to reason that anyone left is considered fair game by the blood-thirsty writers. 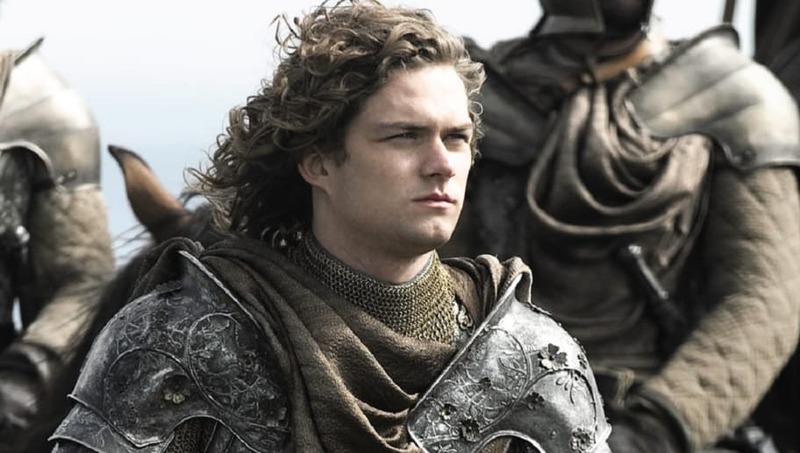 Actor ​Finn Jones, who played the secretly gay knight Loras Tyrell for six seasons of 'Game of Thrones' before being killed off at the explosion of the High Septon, believes the show will go the 'Hamlet' route. "I think eventually what will happen is just everyone will die," he said in a Q&A. Jones's depressing theory, while realistic considering the content of the show, is tempered by his optimism for how the politics of the series will be resolved. "I basically don’t think there will be a throne anymore, and I don’t think there will be a centralized seat of power," he said. "I think power will be given back to the individual kingdoms, so more like a democratic rule." However unlikely, given that good things don't tend to happen in ​Westeros, it is intriguing to think that the power structure of the iron throne could fall, considering that seems to be the ultimate realization of Daenerys's desire to "break the wheel." Unfortunately, as he isn't a part of season eight, Jones is probably just speculating like the rest of us. On top of that, the concept of the divine right of monarchies has been an age-old problem both in the real world and in the general fantasy genre. If '​Game of Thrones' really wanted to deconstruct the standard format, disproving the legitimacy of an absolute rule would be the best way to do it.